I’m holding a special sale for the winter months (December to February) on all chiptune orders. You’ll be able to get 25% off anything you order. There are no limitations. You could order one song or 20 songs, straight chip style or a blended modern sound. Mastering and mixing is also included. Take advantage now! Just drop an email to beatscribes@gmail.com with your needs. I really can’t get enough of all these awesome Rom hacks that are currently coming out as well as new original 8-bit console games. I’m currently waiting anticipating my copy of Lizard arriving for the NES and playing some Super Metroid Rom hacks in the meantime. Another awesome one in the works is Megaman II redone on the Sega Master System. From the era when no Sega-licensed character would ever appear on a Nintendo console and vice versa, Megaman never made his way to the Sega 8-bit system of the period. Now we get to see what it might have looked like if he did. So far, the results are pretty close to the original. The music is where you hear a slight difference. It will be cool to see how actual gameplay shapes up. I like that the developer is doing everything right, taking his time to understand the original disassembly before building each part of his game. Hopefully we’ll have a playable version soon! You can get both the ROM and source code here. 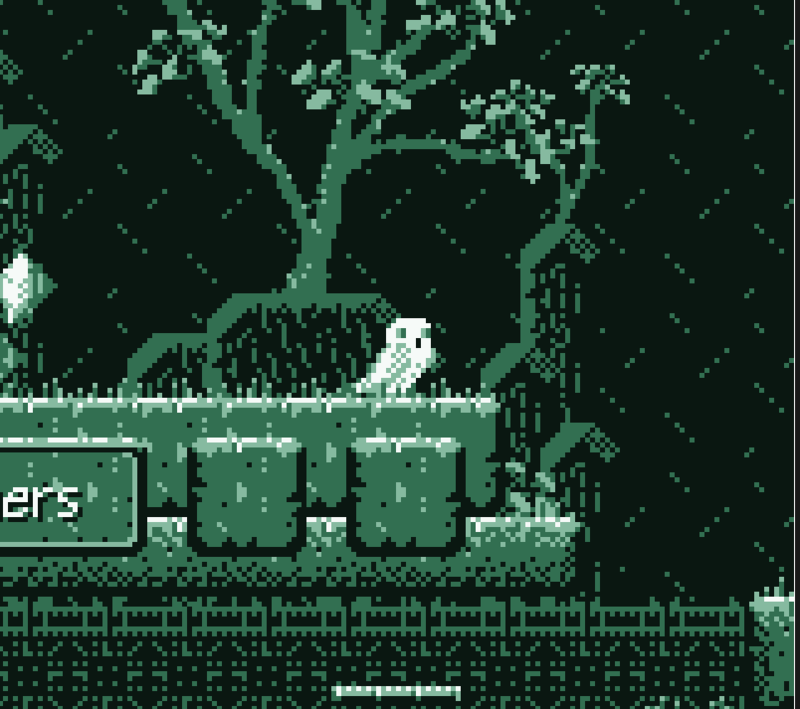 I’m happy to announce the results of our entry into the GameJolt MetroidJam competition. I did some ANSI art and all the music and sfx using Plogue chip sounds. MTRD is a minimalist take on the NES original. The graphics are fully ANSI-based and the music confines to the classic console. For me, it’s a double hit of nostalgia with the music and the text graphics. The game jams gamejolt puts on are awesome. It’s great practice for programmers to work under deadlines and developer fast and efficiently. Some awesome games have come out of these jams and you should check them out. I worked with the talented Will Smith who did a great job in making a bunch of text characters really feel like the beloved classic. MTRD is free and you can play it right now. It’s a quick hour-tops play. Go get it today! The soundtrack is free as well and comes with a bonus track if you grab it off Bandcamp. Aside from sticking to the NES chip’s limitations, I also stuck to some of the classic Metroid sound design choices (no ARPs, very little vibrato, no dcpm samples). The soundtrack includes abstract 8-bit covers of tunes from Metroid Prime and Super Metroid as well. It’s free so if you love the original game’s tunes check these out! Cutman has been a staple of the vgm remix and chiptune scene for some time with his awesome site VideoGameDJ.com and also the “This Week In Chiptune” podcast. As of today the site is being relaunched with all new content. More authors are signed on (I will continue to occasionally contribute stuff) and they’ll be lots great news, tutorials, rom hack lists and other things you’ve come to love from the site. Go and check it out today. I have probably tried almost every possible platform imaginable for Emulation. From PCs in the 90s, to the iPaq, PS2 hacks, things like the GameKing and multi-format consoles. One thing I have always wanted was a one-stop, high-performance handheld that I can take with me. RobotLovesKitty might just deliver it by creating the Game Kid. Powered by the Raspberry Pi’s RetroPie emulation project wwith a 3D printed Gameboy like case that is capable of running NES, SNES, Sega, Playstation 1, Nintendo 64, , x86 PC, Amiga, Sega Genesis, Turbo Grafix 16 and about 20 other formats. Theres a few weeks to go and only the higher tiers are left, so you’ll have to drop a few more bucks for a glow in the dark one, but you don’t want to miss out on this thing! Pledge for yours today, they’re going fast! For those not aware, the Raspberry Pi is a full powered computer thats about the size of a credit card. The potential for this thing is amazing, but this is the implementation of it that has most caught my eye. I, for one, am super hyped that it runs the SCUMM emulator. The possibility of playing some classic SCUMM games while I’m on the road just sounds like the greatest thing ever. 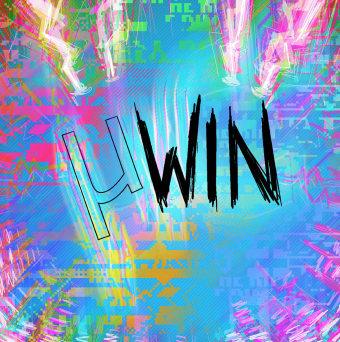 Im very honored to share a release with some excellent and talented chip artists on the latest µCollective release “µWin“. It’s possibly the most diverse release I’ve ever been a part of. It features many submissions for Chiptunes=Win and especially seems to highlight less standard styles of Chiptunes music. This is not a dance best kind of album, it has all kinds of tracks. Many of the tracks have a very moody and atmospheric feel which is just awesome. Some standout tracks in my opinion are Kubikami’s The Bothersomeness, Jentu’s Luna, and Evaleigh’s Apathy Syndrome. There’s so much variety its hard to pick a few to highlight. My submission, “offline hours” is no exception. It’s one of the slowest pieces I’ve ever made. I wanted to make a Dave Gilmour style piece using the SNES. The entire thing is composed with only ten samples, most of them under a second in length. It really shows what the SNES was capable doing. These sounds come from a variety of games but I tries not to use them in their most standard way. I think I bent as many sounds as possible out of that tiny guitar harmonic sample. Go grab a copy today and keep supporting this awesome net label. If you’re interested in making your own SNES tunes, this post from the past will get you started. GameJolt holds a cool tournament every year where you get 7 days to design a game from scratch using no pre-created assets. The Gameboy ones are favorites of mine. Most of the games can be played directly in a browser and really take me back. I posted a few screenshots from ones I particularly liked. I won’t post the names since I don’t want to influence the voting however. This year’s entries are really good. 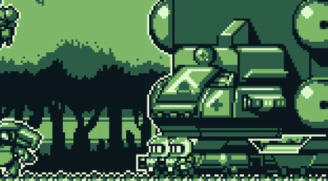 Some of them go far beyond what could really be done on the gameboy, but they still retain some of the feel of the classic low-color classic. 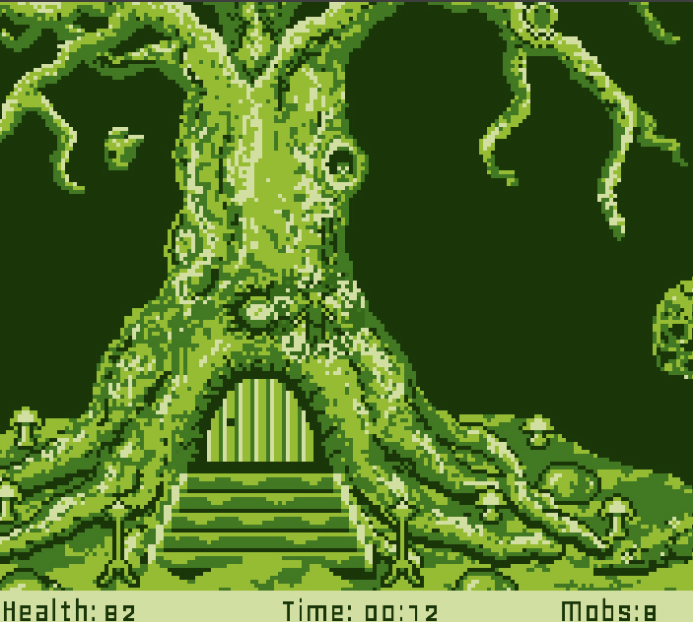 Some entries have a nice gameboy color feel and a more varied palette. For me, the ones with good 8bit tunes really stood out. There’s a lot of entries but take some time to check them out, you’ll find some favorites and be sure to take a quick moment to vote! This game is looking pretty sweet. The soundtrack is totally inspired by Metroid Prime and I think its some of my finest ambient-ish work. I will post more details soon. Wick and I sat down with Jon from Cheerful Ghost to talk about our involvements with Rubicon and Starship Rubicon. It was a lot of fun! Check out all their latest stuff here.